Do you ever just wish God wouldn't work so hard trying to show you something? Many times it's about the deceit of others, but most often it comes back to haunt me about my own shortcomings. I was trying to counsel a fellow on Friday about forgiveness and later on, as I thought back on the conversation, I realized God was doing a work in my own heart about some of the things my friend is struggling with. There are so many times I wish I could expose others for who they really are.....isn't that a funny statement? I had to kinda chuckle after I typed that because I had to think about what I had just written. What I had to say would be totally based on MY OPINION, and we all know what they say about those, don't we? Then I think to myself, what if God exposed me to the world for who I really am? What if He put on display the things that anger me and cause me to fear and many of my thoughts and actions and words? Let me tell you, it wouldn't be pretty! So, I'll just let God handle each and every situation and know that He has a much better plan of action than me spouting off at the mouth. Let us NEVER think we're better than others. Let us NEVER think "that'll never happen to me, or I'll never say/do that"! it could happen to anybody." Thanks Deb...hope this SONday brings you joy. Blessing sweet friend. A powerful post, Deb! I've found that very often the very things I see in others that irritate me are the same things I see in myself. How often I see someone overweight and think "They really should do something about that" and then I look in the mirror and I'm busted. I pray for compassion every day to others because often what I see in others I see in myself as well. Good word this morning Deb! Thanks for sharing your heart. We can so easily get wrapped up in 'ourselves' that we completely shut out all 'reason.' But those of us who know the Lord can always count on the Holy Spirit to bring us back to 'reality.' He gets us back on track, His way is the best way! I love how He speaks to you and I love how you listen. "So, I'll just let God handle each and every situation and know that He has a much better plan of action than me spouting off at the mouth." 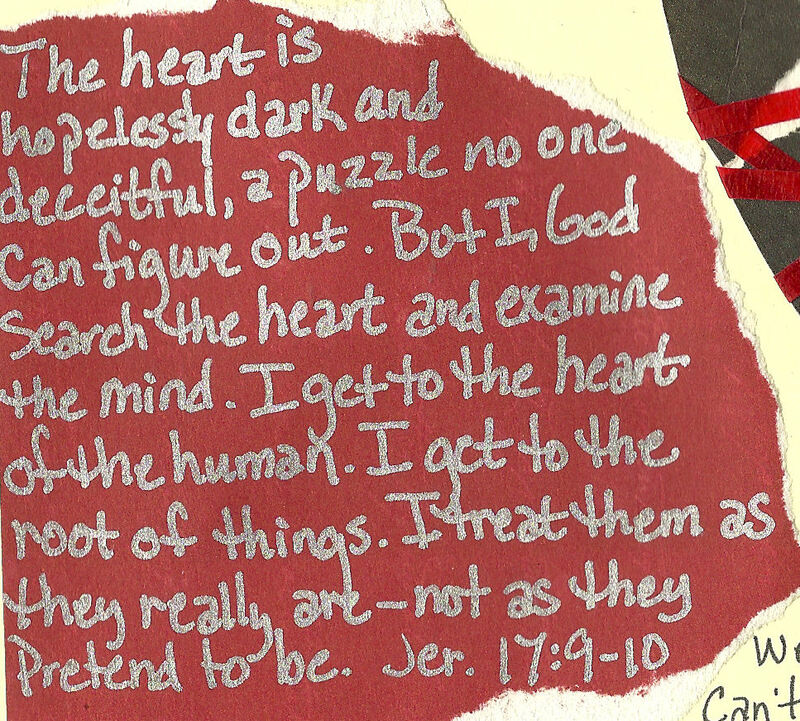 Yes, God sees my heart and my motives. I need His grace and mercy! This is so good and so true. Glad to know I'm not the only one, but so glad that God shines the light. It would be awful to stay in the dark. Thank You, Father, for showing us Your wisdom through Your Word, Holy Spirit and other believers. Thank you for your honesty because it always hits home in some way and makes me think....Deb, you are not alone by any means in your struggles. We all have them!! A powerful testimony! YEESSSSS!!! I have seen so many people recently spouting off about the sins of others with so much anger and even hatred. And it leaves me with two thoughts.. 1)How often I do the same thing and 2)we are ALL sinners, just because our sin may look different doesn't make us any better than the person we are judging.